I thought I would pop in today since this is the last weekend before the big dinner with some tips and a recipe! I almost always take the week of Thanksgiving off; for me it is a time to relax, take long walks in whatever daylight may be available, and of course, cook and bake. It’s a little odd to think of preparing for days for just one meal, but I love it. For a few years, I visited my grandmother in New York, with my cousins and other family. Wednesday night was always pizza, the best you’ll ever have. But I did no cooking, so the holiday always felt different. While those days were filled with family and lots of laughter, I also missed preparing and cooking dinner. Since I refuse to be frazzled when I cook this year’s meal, I’m going back to my own tips for preparing for the big day and thought I would reprint these again for those who may have missed them the first time around. Some of these tips may seem elementary, although to me they make the actual battle of getting everything ready all at once easier. I have to admit, some of these aren’t original, just things I’ve collected through the years that work for me. • This goes without saying, but prepare some items the day before or even two or three days before. 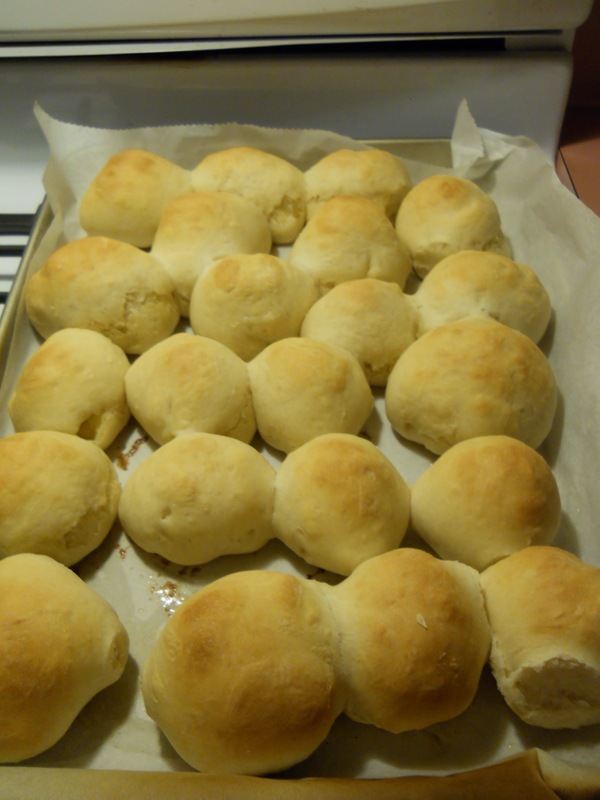 Squash can be made Monday or Tuesday, rolls can be made a week ahead of time and can be frozen until Thursday morning. They can even be made this weekend. Make and bake your pies late Wednesday evening, that way you’re not trying to jockey for space in the oven with your turkey the next day. • On Wednesday, take out your china and all serving bowls and utensils and assign dishes to each one. This saves a lot on the “what bowl is the stuffing going into?” questions when you have some ravenous people hovering at your elbow in the kitchen. I put the assignments on scraps of paper and place them inside each bowl or plate, which I find helps me immensely the next day. All china and linens also are cleaned and ready to go, so all I have to do Thursday morning is set the table. • Create a timeline. 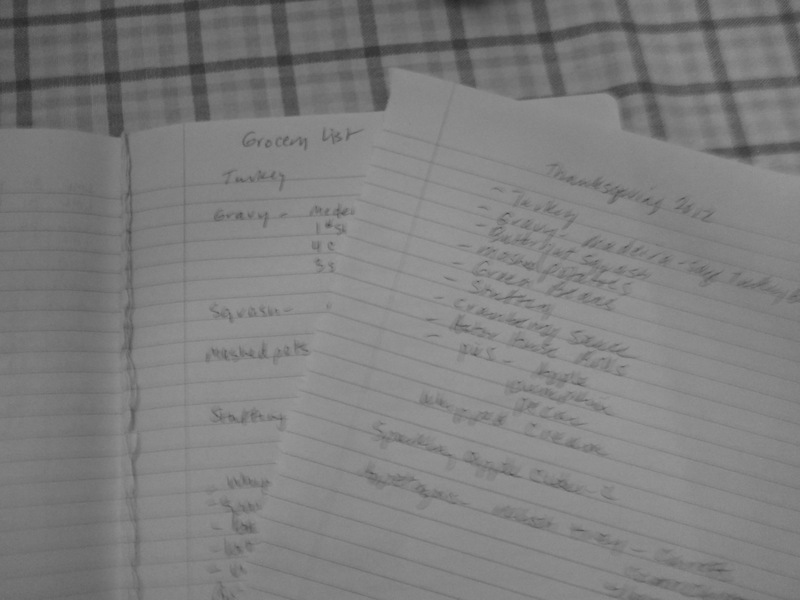 I take my menu, figured out how long the turkey was going to cook and what I have to do when it comes out of the oven. So I have everything down to the time, “9 a.m., turkey in the oven; at 12:45 see if it’s almost done and start the potatoes” etc. This allows me to easily whisk around the kitchen and allows for everything to be done pretty much at the same time (fingers crossed!). This method also is good for any meal you’re cooking while entertaining, as I have a habit of forgetting things once the door opens and the guests arrive! • A small, old-fashioned relish plate as an appetizer. So many times I’ve made a couple of appetizers, which fill up your guests before the meal. How about some carrots and celery sticks, a bowl of black olives, and cornchicons? Just a little something light to tide everyone over before dinner. Sliced fennel with a little bit of olive oil and salt and pepper is another tasty treat. • Instead of putting all the dishes on the table, finding room among the arms and elbows, I set up the kitchen counter as a buffet, so people can fill their plates and return to an uncluttered table. While it doesn’t paint the Norman Rockwell Thanksgiving feast, I find this to be a much nicer way to eat, so you aren’t surrounded by people plus dishes! I pulled out my Essential New York Times Cookbook when planning this year’s meal. 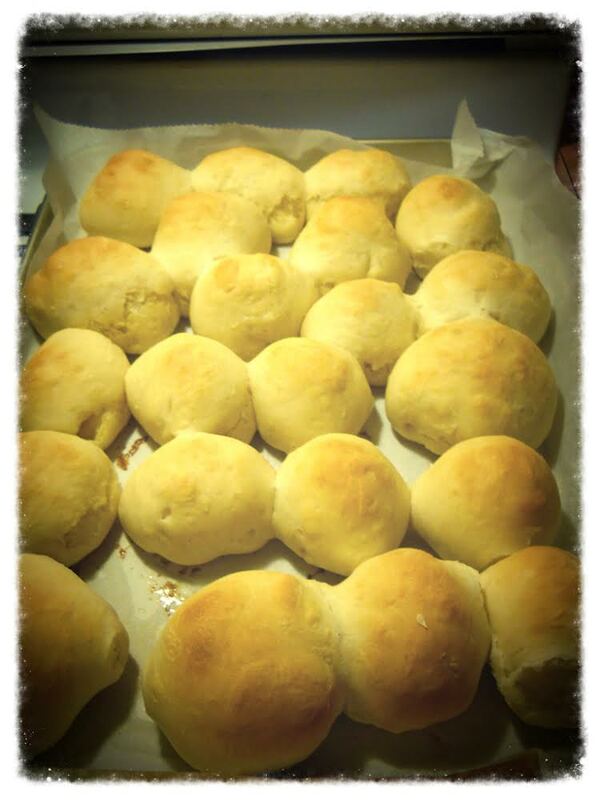 Since I have some little ones in my life who love bread and any form of it, I thought I’d make some rolls. I love Parker House Rolls, but decided to go with the more aristocratic-sounding Astor House Rolls. I made a test run on these a couple of weeks ago; easy, instructions are crystal clear, and they were really yummy, especially right out of the oven! I was thinking since you put a little bit of butter in the roll before cooking, that some minced garlic and/or herbs would be a nice touch. Next time.